Last weekend, when I was preparing my roasted garlic and milk stout marinade, I needed a side dish to go with my flank steak. I had some mushrooms in the refrigerator and decided to use them up. It is also my culinary mission to introduce to The Youngest foods that induce a gag reflex in Hope. I gain satisfaction in seeing The Youngest scarf down food that makes his mother look the other way. My success rate runs about 80 percent. But, mushrooms would be a tough one. Lets see what we can do. I covered the foil and placed in the refrigerator to marinade for five hours or so. 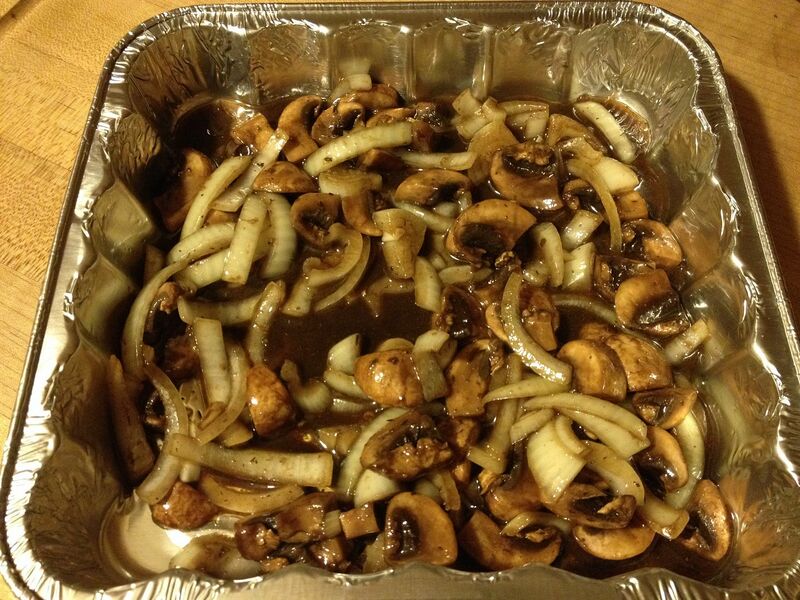 When my grill was ready, I placed the marinaded mixture into a small foil pan. The pan was placed on the top rack my grill to slowly caramelize. My grill temperature was around 350-400 F for most of the cook. 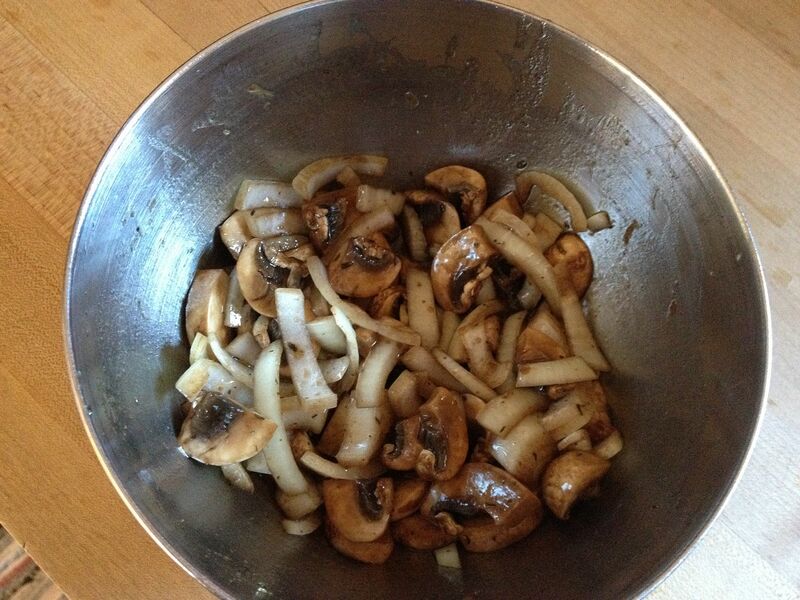 I rotated the pan every 10 minutes so that the mushrooms and onions on the hot side of the grill would not burn. The total cook time was about 40 minutes. Those are the mushrooms up there in the upper right hand corner. One mistake I made was forgetting how much a mushroom can shrink when cooking. But, what I didn't have in quantity, I definitely had in quality. The marinade reduced, intensifying the roasted garlic, stout, and balsamic vinegar flavors. Add in the caramelized sweetness of the onions and mushrooms and this side dish is a worthy accompaniment to any grilled steak. I think I see some sort of beefy, mushroom laden pie in my future. As for The Youngest? I had to fight him for the remains. Mission accomplished.